Solemn Snow is a reduction woodblock print pulled from a single block of cherry wood. 6″ x 7.25″; Somerset paper; oil-based inks; $275. 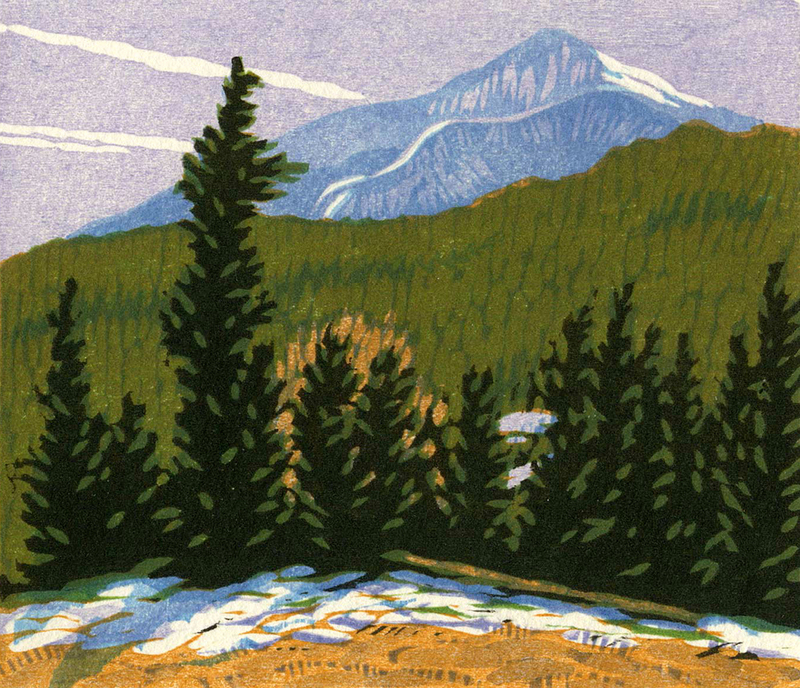 Birches, Early Spring is a reduction woodblock print pulled from a single block of basswood. 5.5″ x 5″; Somerset printing paper; oil-based inks. $180. Edition of 10; Sold Out. The Way of September is a reduction woodblock print pulled from a single block of basswood; 20″ x 30″; printed on Mulberry paper with oil-based inks; $2100.